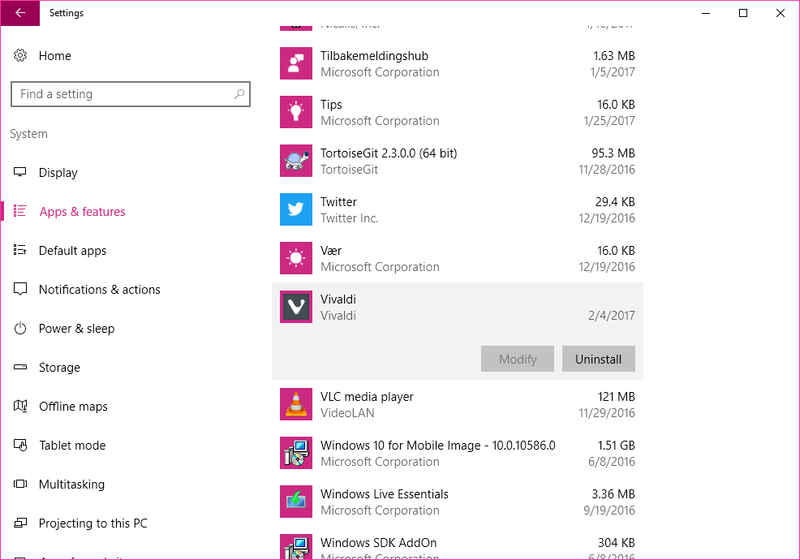 If you have issues uninstalling Vivaldi while using Windows 10, Windows 10 provides two different UIs to add/remove programs: the old style UI, and a new modern look (see screenshots below). Only the older style UI will allow a non-admin user to uninstall a single user installed program. New add/remove programs UI in Windows 10. 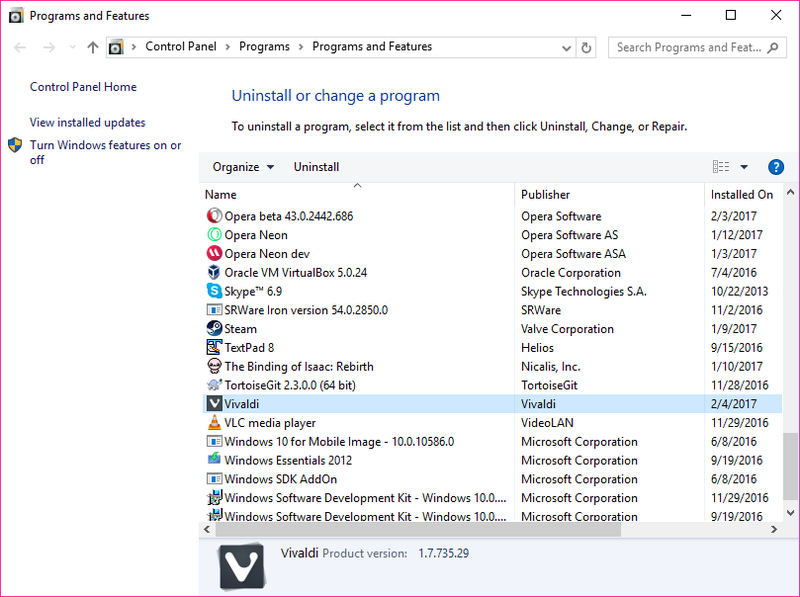 So to uninstall Vivaldi from Windows 10, make sure that you are using the old add/remove UI. If you still run into issues when attempting to uninstall Vivaldi from Windows 10, please get in touch with our support team on vivaldi.com/contact. If you use Mac, Linux or another version of Windows, head here for instructions on how to uninstall Vivaldi.